Traveling with your family of three? We have listed down the most highly-recommended 3 Berth campervans to fit any seating and sleeping configuration requirement as well as the all-important budget. If you're planning to take your family to Queenstown on a self-drive holiday, it's best to make early reservations on your campground stay and campervan rentals. This way, you can avoid delays and spend more time enjoying the lush scenery. Enter your travel details into the Quote Calculator located on the right side of the page to compare rates on awesome motorhomes around town, or start looking for great Holiday Parks in Queenstown. The Rocket is a great option if you don't want a large vehicle but still need plenty of interior space. The 2.5 Berth campervan can be fitted with a baby or booster seat in the rear seat, which is directly behind the driver's cabin. The Rocket is easy to drive and even easier to park when staying at holiday parks. 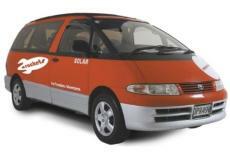 You can't go wrong with a vehicle that's the price of a 2 Berth but can seat and sleep 2 adults and a child. Get An Instant Quote For The Rocket! Looking for a vehicle with an extra bed, but for a similar price? Check out the Beta 4! 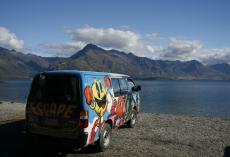 *Note: Round Trip Queenstown and Wellington Rentals are not available. Vehicle must be collected or returned either from Auckland or Christchurch. The Sleepervans can seat up to 3 passengers, be fitted with a child or booster seat in the driver's cabin and are easy to drive. 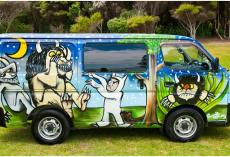 If you're still not convinced that this is the vehicle for you, they come in around 200 unique designs, like the Where The Wild Things Are van (see picture). Now you can really travel in comfort AND style. The All Inclusive option includes Windscreen and Tyre Cover as well as coverage for traveling on unsealed or gravel roads. Get An Instant Quote For The Escape Sleepervan! Here's another affordable vehicle you can take if you're traveling with a child that needs a booster seat, which can be fitted in the front passenger seat. The hitop design has a hammock ideal for older children or even an adult (max weight 90 kgs or 198 lbs). The dinette transforms from dining area to sleeping area with just a push of a button, so no need for huffing and heaving before getting some sleep. Planning to go to the Waitomo Glowworm Caves? If you're the primary driver, you can get in for free! Get An Instant Quote For The Jackpot! Interested in bigger options for your family? 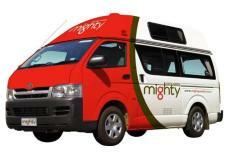 Check out The Best Family 4 Berths in New Zealand. Let us know if you have comments and suggestions by sending us an email to info@mydriveholiday.com.